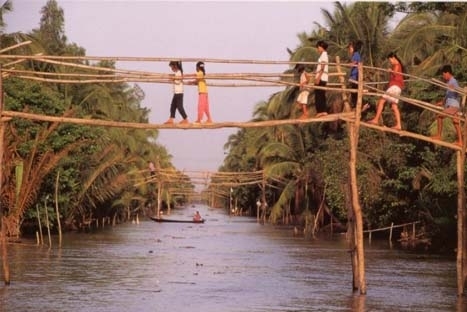 An unforgettable trip of seeing the mekong delta is to take a boat trip along Mekong river. Discovery the peaceful atmosphere and daily life activities of local people in Mekong Delta, visit Cai Rang floating market, fruit garden and nurseling garden of Mr. Tam Ho, cruising along small canal in Mekong Delta on local sampan, visit interesting local workshop that make pop rice, coconut candy and other local products. 08.00am: Our Tour Guide & Driver pick you up at the hotel in Saigon, then take an excursion to Mytho, one of quiet cities in Mekong Delta area. Arrival to Mytho, a full day trip to water world of the Mekong Delta; enjoy the journey through the fertile paddy fields, water buffalos. 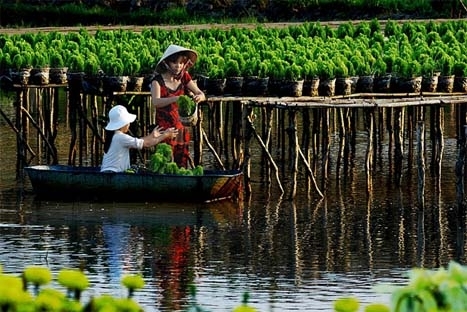 Take the boat trip along narrow waterways and visit some orchards, local houses where making rice-paper, enjoy tropical fruits with southern traditional “Tai Tu music” show. 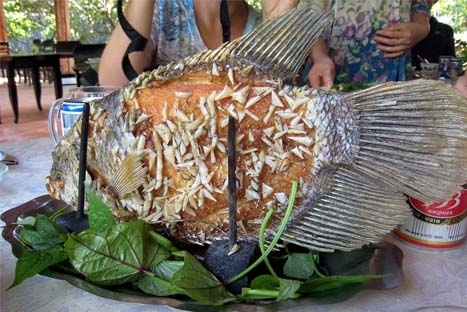 Enjoy lunch with special Elephant’s Ear Fish will be served during lunch on local restaurant on island. After finished boat trip, take on private vehicle to Cantho, stop for visiting the ancient pagoda Vinh Trang. Afternoon, arrive to Cantho, check-in the hotel on arrival. Free at lesure until enjoy dinner at charming restaurant located on Hau river branch. Free after dinner and O/N in Cantho. Breakfast at hotel. 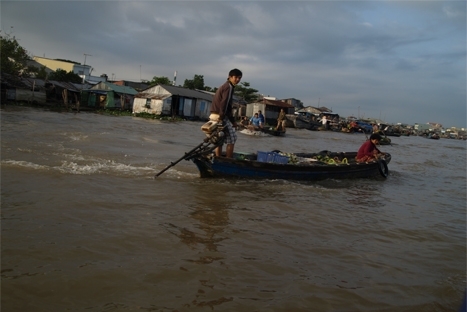 Then transfer to the pier for taking the boat ride on Mekong River which is the longest and most prosperous in Asia, visit the famous floating market Cai Rang, where you can see the daily life and local people selling their products on boats. 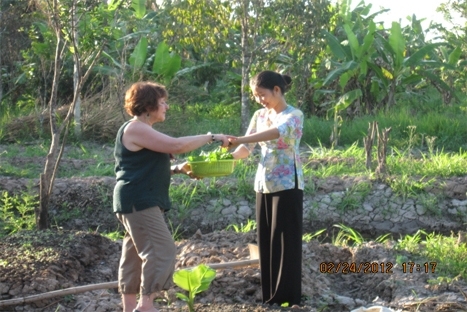 Then cruising to small cannels to visit one of the local family and their orchard, taste tropical fruits, green tea. A delicious lunch will be served at an ancient house or at charming restaurant MEKONG REST STOP. After then, take on private vehicle return to Saigon.